RENTED! This May 2010 in Greenbrae - while we were away at our wedding in the Caribbean I might add! I won't lie - I wasn't too pleased when my husband-to-be was checking his blackberry the day of our wedding answering emails back and forth about this property - but at the end of the day, what are you going to do? The life if a top rental agent is to always be on call! And the owners have been great clients, so we were happy to be of service! Looking for help with your Greenbrae Rental Property? Call our local Kentfield office anytime: (415) 507-9600. Bel Marin Keys Rental: $2950 RENTED! 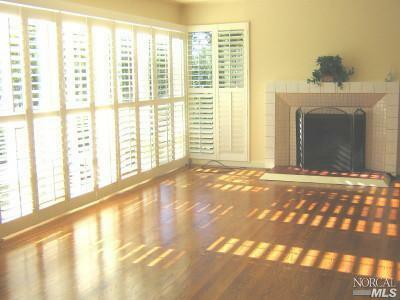 $6300 RENTED in Mill Valley! RENTED! Gorgeous Condo in Tiburon! RENTED in San Rafael! Luxury LEASE OPTION!